Hemodynamics is the study of blood flow in the cardiovascular system. Blood properties strongly affect viscosity and as a result, viscosity measurements enable blood characterization. However, very accurate measurements are necessary to properly monitor the changes in viscosity that can help doctors diagnose cardiovascular diseases, anemia, and many other blood related issues patients may have. 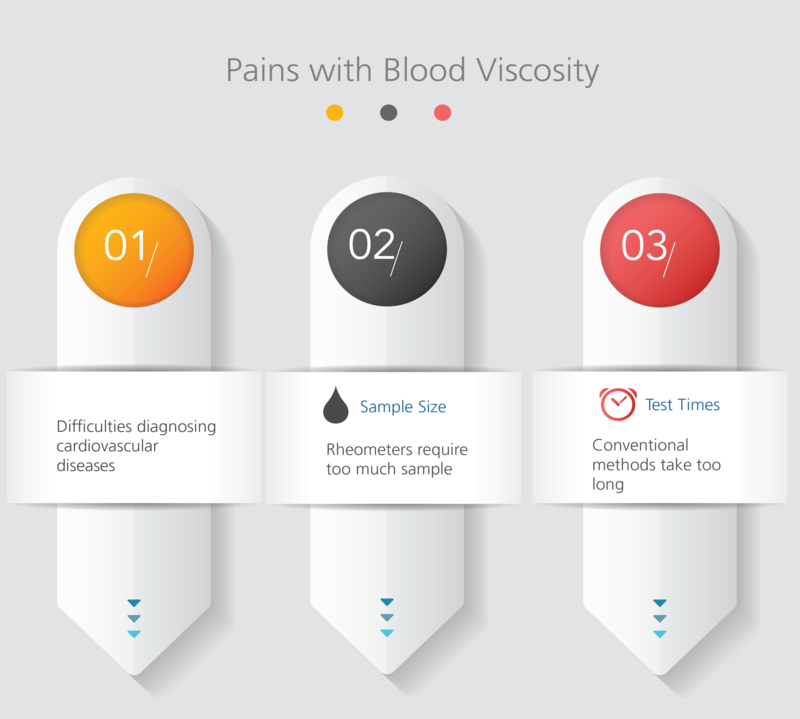 The challenges that come with measuring blood viscosity include sample volume limitations, evaporation and protein aggregation, among others. Conventional rheometers often require large amounts of sample and long measurement times that allow for alteration of the samples properties. The inability to properly monitor the viscosity can result in improper diagnosis. In this application note, we present m-VROC® measurements of blood-based solution viscosity as a function of shear rate and temperature. 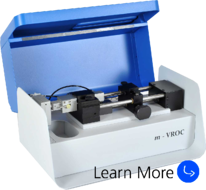 m-VROC® has small sample volume requirements and features a closed system which prevents evaporation and drying during the short time necessary to make a measurement. These advantages over conventional rheometers and viscometers make VROC® technology a powerful tool in blood characterization and hematological diagnosis.